Sometimes a text to win turns out so well that you just might want to incorporate the sweepstakes winner into your branding. Whether you plan to feature a previous sweepstakes winner in your next promotion or you want to show them off as a spokesperson for your brand, you need to fully inform entrants upfront. Sweeppea makes it easy to launch your next text sweepstakes! To get started now, see features and pricing. It’s that time of the year again: Mother’s Day and Father’s Day are almost here! For marketers, this is the perfect opportunity to grow your audience and attract new customers. So if you’re looking for some prize ideas for these holiday sweepstakes, here are 20 prize ideas to try. 1. Shopping Spree: While a free item or gift card is nice, a shopping spree boosts the excitement! Offer a chance to win a shopping spree worth $500 or shopping with a stylist. 2. 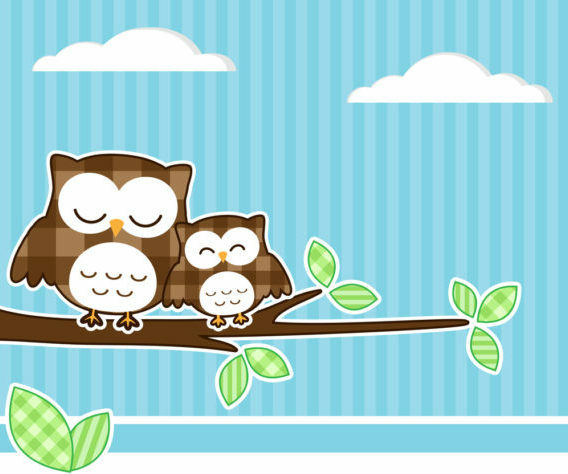 Spa Day: Mom deserves a day of pampering for everything she’s done for you. Offer a chance to win a Mother’s Day Spa Day or a Makeover worth $500. 3. In the Garden: Spring has arrived and Mother’s Day is the perfect time to tend to the garden. Mom’s with green thumbs would love a chance to win a garden makeover, gardening supplies or credit at their favorite garden center. 4. Theater Tickets: Mom will absolutely love to see the hottest show in town. Offer a chance to win tickets to an upcoming Broadway show or local play. 5. Gift Card: Give Mom the freedom to buy whatever her heart desires! Offer a chance to win a gift card worth $1,000. 6. Dinner: A night out with a nice dinner is another mom favorite. Offer dinner for two or even a chance to win a month’s supply of meal delivery! 7. Ebook Reader: Help mom relax and catch up on her reading list. Offer a chance to win an ebook reader, complete with bestselling titles. 8. Family Vacation: Mom would love to spend time with her kids! Offer a chance to win a weekend getaway for her and her family. 9. Beauty Treatment: Mom deserves to look her best. Offer a chance to win cosmetic treatment sessions worth $500. 10. Home Makeover: Doesn’t every mom want to live in her dream home? Help get her there with chance to win home decorating services or a home decor shopping spree worth $3,000. 1. Golf Lessons: Give dad the weekend to work on his swing. Offer a chance for a chance to win golf lessons worth $300. 2. Action Camera: Help dad capture all of those action-packed moments while vacationing with the family. Offer a chance to win a GoPro camera worth $300. 3. Grill: Help dad enjoy Father’s Day with a backyard barbecue. Offer a chance to win a barbecue grill worth $400. 4. Season Tickets: Dad deserves to see his favorite team win in-person with season tickets. Offer a chance to win season tickets for 2 worth $600. 5. Power Tools: Dad’s who love working with their hands would love some new tools. Offer a chance to win power tools worth $300. 6. Drone: For tech-loving dads, a drone is perfect way to try new tech while exploring the city from the air. Offer a chance to win a drone worth $400. 7. Lawnmower: Some dads enjoy lawn work, especially if it involves riding a big lawnmower. Offer a chance to win a John Deere mower worth $600. 8. Gift Card: Dad needs some new clothes so that he can look his best. Offer a chance to win a gift card to a men’s clothing store worth $500. 9. Cruise: Help dads in your audience spend more time with their families. Offer a chance to win a 4-day, 3-night cruise to the Caribbean! 10. Car Accessories: Dad needs new car accessories to keep his ride in perfect condition. Offer a chance to win custom car accessories from the auto parts store worth $500! Remember to choose a prize that is relevant to your brand and delivers real value for your audience. By doing so, you’ll lure in more entries and encourage entrants to spread the word. Delight your audience with a mobile sweepstakes from Sweeppea! To get started now, see features and pricing. If you don’t know what to look out for, the most common sweepstakes mistakes can seriously derail your promotion and land you in hot water with regulators. Don’t let legal concerns ruin your text to win promotion! To help you avoid a major slip up, here are 5 sweepstakes mistakes you might be making and how to avoid them. Every sweepstakes must allow entries where no purchase is necessary, otherwise it’s considered an illegal lottery. While you can allow entries with purchase, you must have an entry method where purchase isn’t required. This is why you often see an option for mail-in or email entries. Keep in mind that your Official Rules are akin to a contract with your customers. Official Rules should be carefully drafted for every sweepstakes you run to ensure you’re in compliance with all applicable laws. So consider an official rules template or previous version as a starting point. Build on the template to make sure the final rules address all of the unique features of your promotion. While our rules wizard does help with rules setup, we always recommend having rules reviewed by an attorney. When advertising your sweepstakes in-store or anywhere else, include abbreviated rules and disclaimers required for your sweepstakes. They should always be included in all ads to ensure compliance. If space is a concern, use short links that will redirect visitors to a web page where they can view the official rules and disclaimers in their entirety. You may think hiding the fine print will encourage more entrants to your sweepstakes, but this is something you should never do. 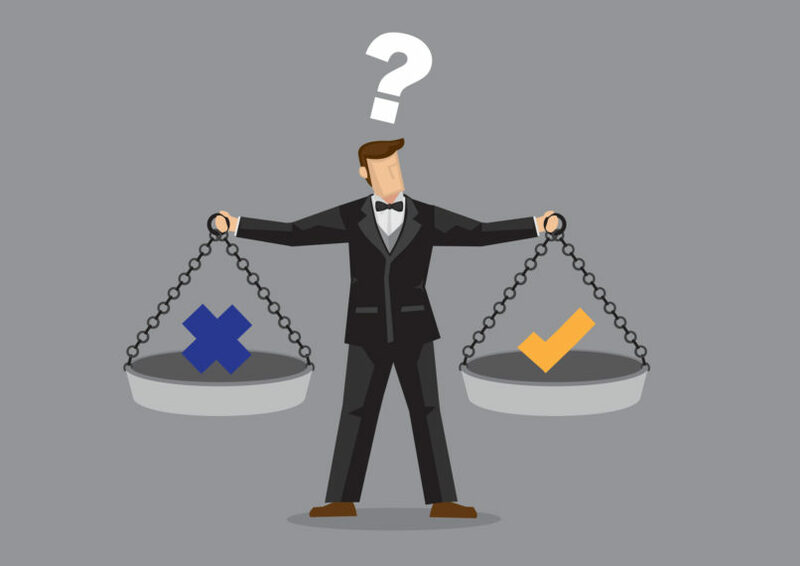 In fact, hiding the rules can open you up to legal liability if your customers have to jump through hoops to locate them. 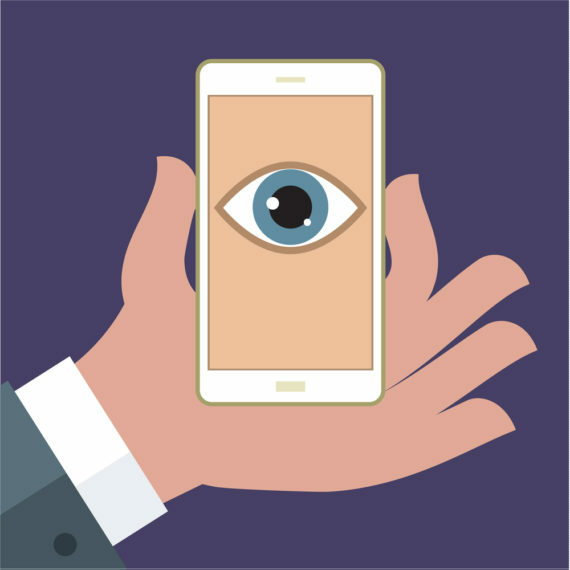 The same is true for mobile disclaimers and terms. Your official rules can only protect you if your entrants consent to them when they opt-in to your sweepstakes. So make sure that you make them as easily accessible as possible by include a link to them in ads and sign up forms. For mobile, you must also include: “Message and data rates may apply.” This notifies consumers that their mobile provider may charge fees, depending on their mobile plan. In certain states, you must register and bond your sweepstakes with the state at least 30 days before it is set to begin. For example, the state of New York requires registration and bonding if the sweepstakes prize is valued at $5,000 or more. Don’t ignore state and local regulations for your sweepstakes or you may be faced with fines and severe penalties. Make your customers fall in love with your business with a text to win from Sweeppea! To get started now, see features and pricing. The Washington Capitals professional hockey team wanted to increase game participation and collect fan information for re-marketing efforts. Entry Method: Text CAPITALS to 65047 for a chance to win VIP tickets. Using a text-to-win through Sweeppea, they captured participants’ mobile numbers and email information, opening the channel for post-event text message marketing offers. Hundreds of participants entered, allowing The Capitals to build a database of prospective customers for re-marketing. Participants who did not win were offered tickets for sale. Increase your events ticket sales with a text to win sweepstakes from Sweeppea! To get started now, see features and pricing. Promoting a destination isn’t for the faint of heart. Visitors have many options and are bombarded with beautiful travel photos online. So what’s a tourism marketer to do? Get a bit creative. 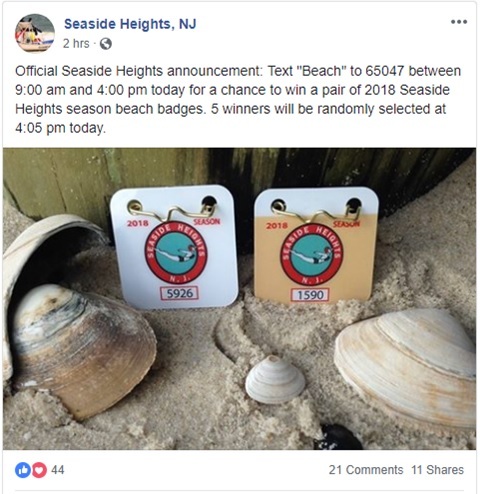 This is what the Borough of Seaside Heights, New Jersey did recently when they ran an SMS Sweepstakes. A sweepstakes coupled with other tactics can help a destination get the word out and build excitement. Known for its miles of sandy beaches and lively boardwalk, Seaside Heights attracts visitors from throughout the Northeast. They were seeing less visitors on rainy days, for obvious reasons, and so wanted to promote free beach passes (or seasonal badges) during the off-season. Keep it simple and easy to enter (text or SMS is the easiest way to enter a sweepstakes). Make the most of mobile, which appeals to most Millenials, and post it on social. Offer a relevant prize. What could be more relevant than free beach badges for a season? Boost your tourism marketing sweepstakes campaign even further by partnering with influencers. 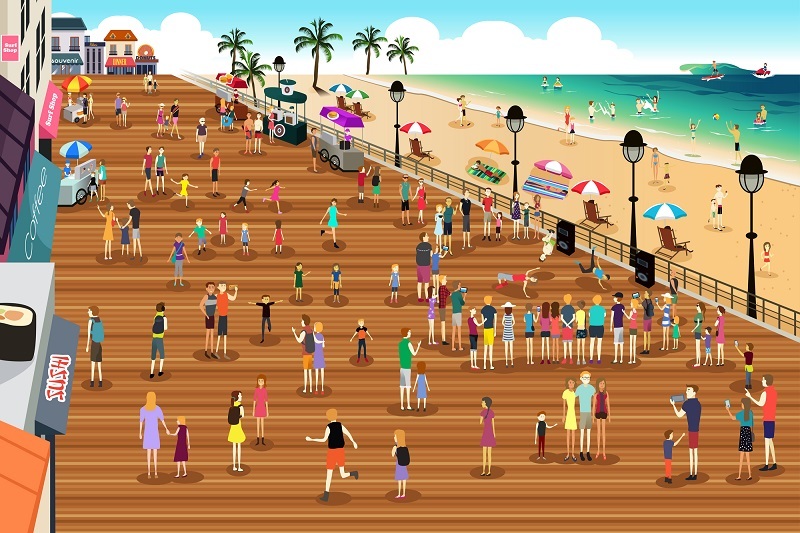 While Seaside Heights didn’t include influencers in this promotion, it’s a good tactic to boost entries and exposure even further. Influencers with local and regional influence can help get the word out to their audiences. See our post on working with influencers to promote your sweepstakes. 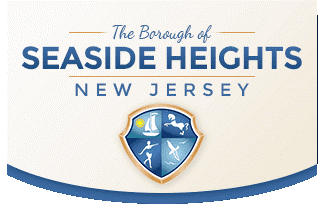 Overall, Seaside Heights did well with their campaign, which was promoted on Facebook. They saw more than 500 entries within the first hour!